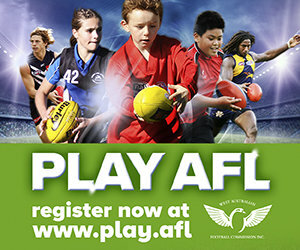 AFL returned to Langley Park on Sunday, July 5th for the East Perth Football District NAB Auskick Gala Day. 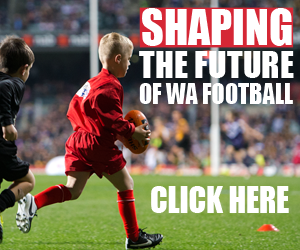 The event had a terrific turn out with over 350 Auskickers taking part, with 33 teams playing over 16 football grids. It was a day to remember for all involved and a special thank you must go to the Auskick Coordinators and Coaches at each of our junior clubs. Steeped in a rich history including having been the site of Perth’s first airstrip, Langley Park has previously been home to major events such as large-scale concerts, the World Rally Championship, Circus de Soleil and the Red Bull Air Race. The Auskick Gala Day is the first step in the East Perth Football Districts’ plan to claim Langley Park as a home for football for the district. 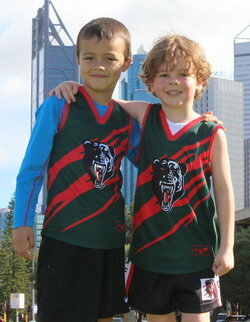 The aim of Auskick Gala Days is to provide a safe environment for children to engage in friendly competition. To this end, the motto for the day is "Have a go and have fun", and upon reflection, we all did. A big thank you also goes to the East Perth Football Club for providing League and Reserves players who umpired matches on the day. Days such as this would not be possible without the help of our sponsor NAB. Through their NAB AFL Auskick Local Activity Fund, which gives NAB employees the opportunity to provide much needed support to Auskick centers across the country, employees from the Midland branch generously donated their time and resources on the day. We look forward to returning to Langley Park in 2016 for more events, programs and special football initiatives. For further information regarding Gala Days or Auskick please contact Corey Ranger at cranger@wafc.com.au or on 0403 350 814.